de Roble francés y americano. The Tempranillo, Graciano and Mazuelo grapes used in our Carlos Serres Reserva and Carlos Serres Gran Reserva come from a selection of different plots within Finca El Estanque, picked by hand from vines averaging 30 years in age. French and American oak ageing periods for our aged wines range from 14 to 36 months. A red wine made with Tempranillo grapes. The grapes are picked manually in mid-October. The wine ages for 6 months in American and French oak barrels. Bright, purple colour with aromas of fresh, red and black fruit, liquorice and vanilla notes. Dark fruit in the mouth which is intense and long, but also finishes with fresh acidity. A great match for grilled vegetables, creamy rice dishes, pastas and pulses, white meats and soft or lightly aged cheeses. A red wine made with 100% Tempranillo, grown in vineyards where the vines are over 20 years old. The grapes are picked manually and the wine is aged in French and American oak barrels for 14 months. Refined in the bottle for a further 6 months. Dark-cherry red with a purple rim, it is a clean, bright wine with aromas of ripe red fruit set against a spicy background, adorned with light notes liquorice. Tasty, fresh and fruity in the mouth, with a sweet, persistent finish. A red wine made with 90% Tempranillo and 10% Graciano, both from Finca El Estanque. The grapes are picked manually from vines averaging 30 years in age. The wine remains in French and American oak barrels for 24 months, followed by further refinement in the bottle for another 12 months. Medium intensity, dark-cherry red, with a brick rim evincing barrel ageing Ripe black fruit, toffee and balsamic aromas with a light mineral touch. Well-structured in the mouth. Fresh, with a silky, elegant mouthfeel and a long, persistent finish. 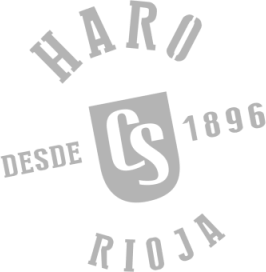 A red wine made with 85% Tempranillo, 10% Graciano and 5% Mazuelo. All the grapes used in this Gran Reserva come from Finca El Estanque. They are picked manually between mid and late October, depending on the grape variety. The wine remains in French and American oak barrels for 36 months, followed by further refinement in the bottle for another 36 months. Bright, ruby-red with an orange trim denoting long ageing in barrels and in the bottle. Complex aromas of long ageing, with the presence of ripe, preserved fruit and delicate spicy vanilla and cinnamon hints set against a mineral background. Elegant in the mouth, with a velvety, well-balanced mouthfeel and a long, fresh, persistent finish.